One glance at a map of South America and it is immediately evident that Brazil occupies an enormous portion of the continent, with a powerful physical presence that includes thousands of miles of coastline, primeval wilderness and one of the most extensive river systems in the world as well as historic towns and cosmopolitan cities. In 1815, the Portuguese colony of Brazil was elevated to the rank of kingdom with the formation of the United Kingdom of Portugal, Brazil and the Algarves. Then came the Empire of Brazil in 1822, a state governed under a constitutional monarchy and a parliamentary system. Later still, it became a republic as it is today. Brazil is the largest country in both South America and the Latin American region. It borders all other South American countries except Ecuador and Chile and occupies 47.3% of the continent. It is one of 17 megadiverse countries, and is the subject of significant global interest and debate regarding deforestation and environmental protection. Its Amazon River basin includes a vast tropical forest, home to diverse wildlife and extensive natural resources spanning a variety of ecological systems and protected habitats. The Pantanal, in the west, encompasses the world’s largest wetlands. The southeastern Atlantic rainforests are 20 million years older than the Amazon ecosystem. Southern Brazil covers grasslands, wetlands, pine forests and the grand horseshoe of Iguassu Falls. Brazil has new regions and adventures opening up such as coastal Paraty, an extraordinarily rich natural environment of beaches, forests and mountains. Once the main port for exporting gold to Europe, Paraty is a unique example of a fully preserved 18th century harbor town. Ubatuba is a quaint coastal town that is the surfing capital of Brazil. In the mountains away from São Paulo waits the traditional Caipira culture and the Amazon is home to some 67 indigenous tribes, many of whom are still isolated from the world beyond their territories. The only Portuguese-speaking country in South America, it offers a cornucopia of adventures. 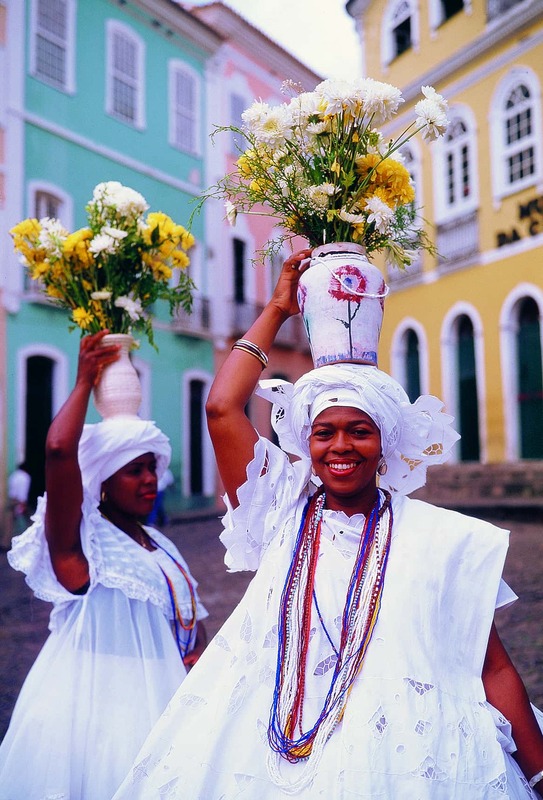 It is famous for its football (soccer) tradition and its world renowned Carnaval in Rio de Janeiro, Salvador and Recife. The bustling urban mosaic of São Paulo, the cultural energy of Pernambuco and Bahia, the striking colonial cities like Ouro Preto, provincial towns such as the 500-year-old Olinda – all are part of the colorful bounty that is Brazil. Explore the many charms of a Brazil luxury tour. Discover Brazil's exciting Rio De Janeiro, and take a cable car ride up to Brazil's world-renowned Sugar Loaf. Hike in Rio’s Tijuca Forest, the largest urban forest in the world. 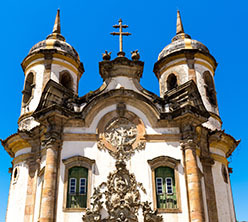 Explore Ouro Preto’s well-preserved Portuguese colonial architecture, its 18th- and 19th-century churches decorated with gold and the sculptured works of Aleijadinho, and visit some of the gold towns including Marina and Sabará, founded in 1711, which was one of the most productive gold mines at the time.